I learned today that a friends daughter is getting married in 3 weeks time. The last time I saw her, she was just a little girl, now she is all grown up and off to start a new life with her husband! Where does the time go? 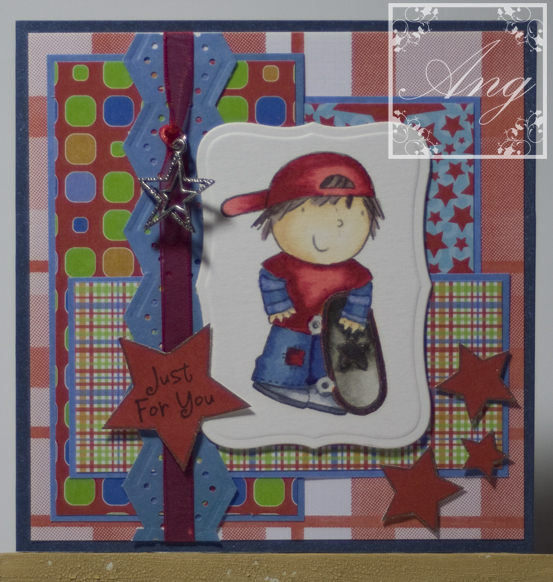 Believe it or not I have made a few things over the past week or so, but sadly cant put them on my blog as the people who they are for would see them lol. 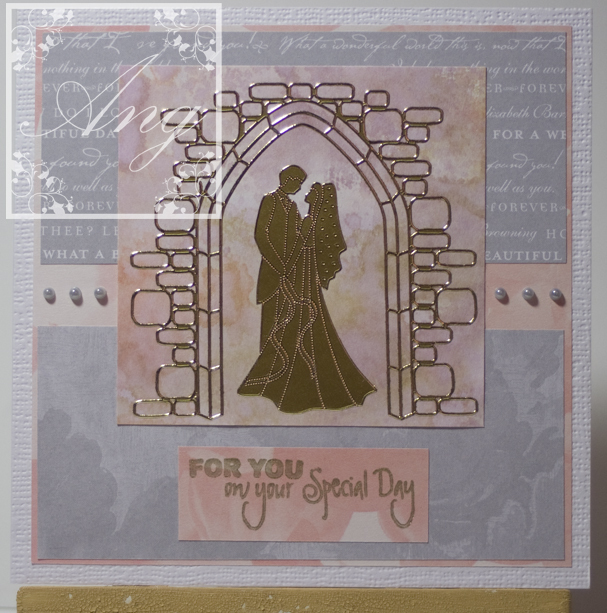 Today I have made my 3rd thing using Sunday Sketch and Stamp’s very first sketch. 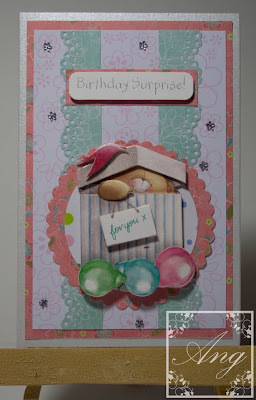 In case you didn’t know they are having a birthday blog hop, you need to start on the challenge blog page here. 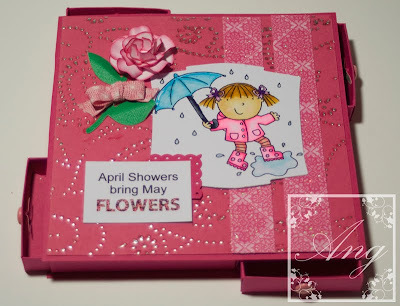 The Easter holidays are over and the kids are back to school so Mummy gets to create again 🙂 This morning I have made a spring birthday card (see the flowers 🙂 ) for the Forever Friends Challenge. 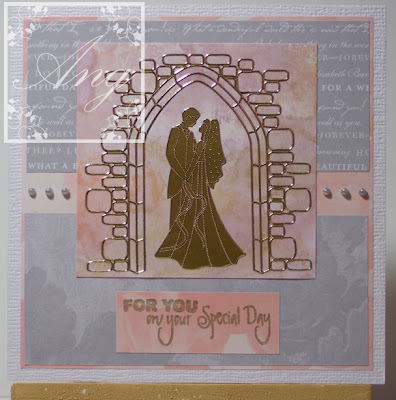 I used the sketch from Sunday Sketch and Stamp, Sparkly bits for The ABC Challenge and its a girly card for Stampotique Designers Challenge. 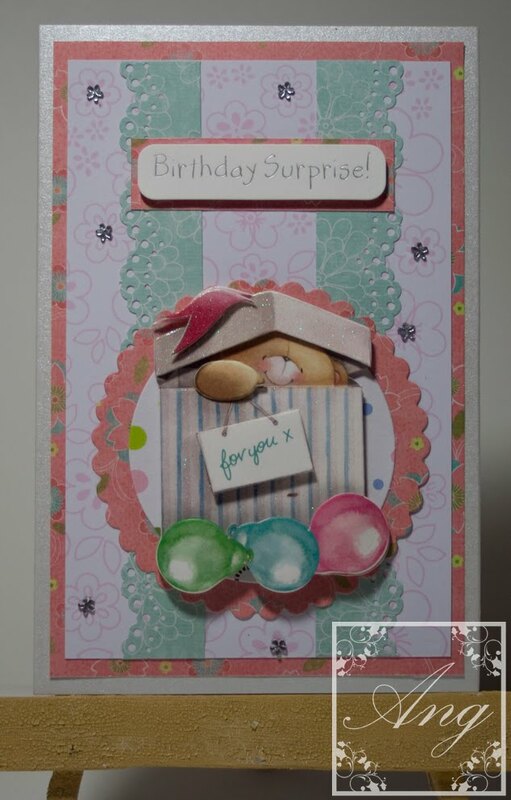 I am teaching a 3D class over at Cullen Crafts next month and decided to make a 4 way matchbox card as a sample. Stamp Something this week wanted pink somethings, so I set out to make it pink, which is not my normal colour but I am thinking it will be more so in future. Raise the bar had a weather theme, and Totaly Papercrafts had a Lets go Digital theme so I used this really cute digital stamp from Squiggle stamps. 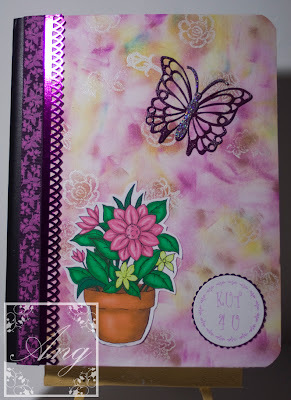 Last but not least Stamping for the weekend wanted ribbons and bows.